Four things to know before selling your property. 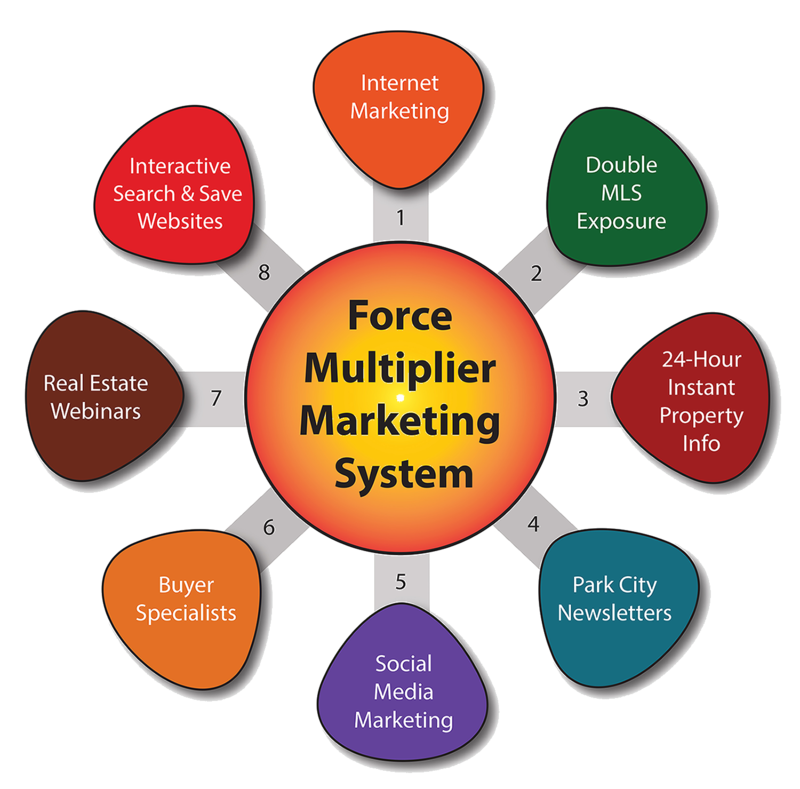 Learn how our force multiplier marketing system works! Valuable tips and webinars to help sell your property. Real estate marketing has changed significantly in recent years due to new technologies and increasingly sophisticated real estate websites. Ron Wilstein has developed a proven system for selling Park City properties in order to provide the most effective real estate marketing for our clients. 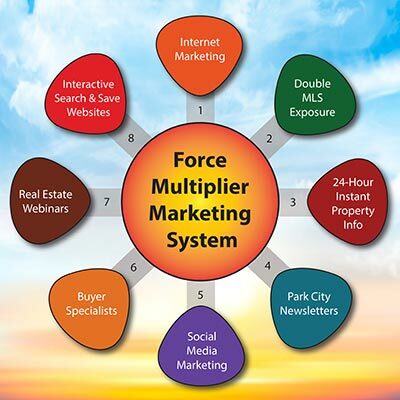 What makes our approach so powerful is our Force Multiplier Marketing System. 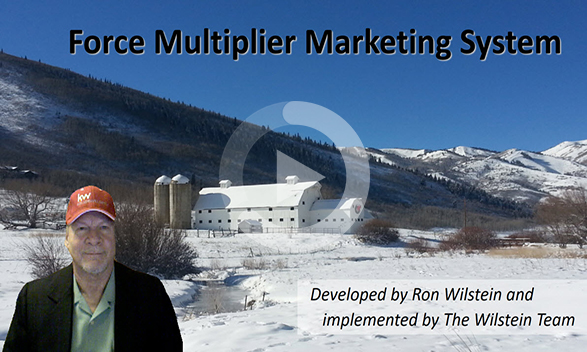 In this webinar, Ron explains how and why he developed the Force Multiplier Marketing Plan, and shows you actual results achieved for his seller clients. Each strategy is defined and demonstrated, showing how they work together and achieve the results most sellers are looking for. The secret to this marketing plan is how these strategies work together, bringing about exponential results. There are no empty promises here. Ron will show you our track record, year after year for over 30 years, and he guarantees our services. No fluff here. Force Multiplier is a military expression used to describe the warfare strategy of attacking an enemy through multiple methods, all of which are carefully coordinated in order to create a devastating impact. The combining of military intelligence, satellite surveillance, Special Forces operations, and attacks by air, land, and sea, together produce a much greater impact than they would individually. The same strategy has a proven track record in real estate marketing. We’ve combined eight proven strategies into a comprehensive marketing plan to attract more buyers to our listed properties in order to get them sold quickly. The result has been faster sales and usually more money going into our clients’ pockets at closing. 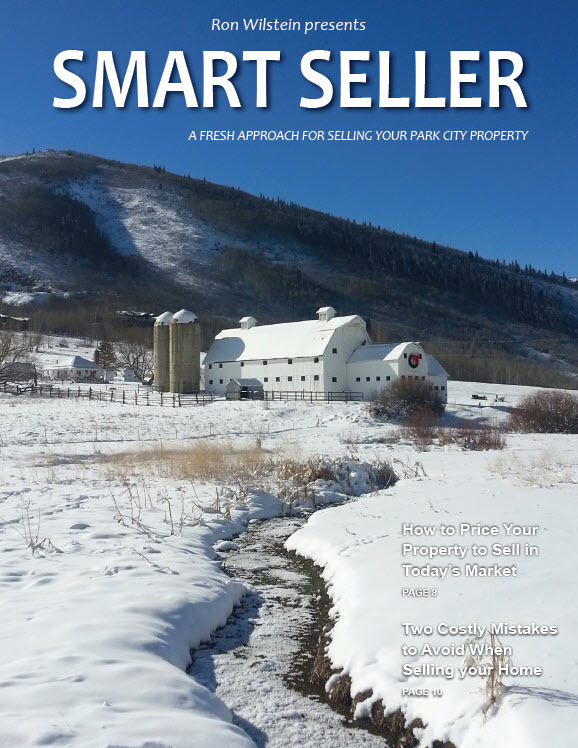 Our SMART SELLER magazine describes the 8 Proven Strategies that make up our Force Multiplier Marketing System in detail and answers many commonly asked questions by sellers. Request a copy and we will send it to you. The National Association of Realtors reports that 94% of all property buyers first begin their real estate search online. As you might expect, this means that your property’s first point of contact with prospective buyers will be online, and your property will be marketed on more websites than the listings of any other brokerage or sales agent in Park City. Taking advantage of this widespread exposure is the most important thing you can do to make sure buyers see your property and realize that it’s for sale. The Multiple Listing Service (MLS) is the best way to expose your property to real estate sales agents working with buyers in Park City. Most real estate agents rely upon either the Park City MLS or the Wasatch Front Regional MLS to promote their real estate listings. We promote our listed properties through both MLS systems, which exposes them to every real estate professional in the state of Utah to help sell your property. Today’s buyers want property information instantly without talking to a sales person. Our mobile real estate marketing platform works 24/7 and sends details about your property, including detailed photos and YouTube videos, to cell phones and mobile devices within seconds of receiving a request. Simply dialing our toll-free number or sending a text message will make your property details and photos instantly available to buyers. 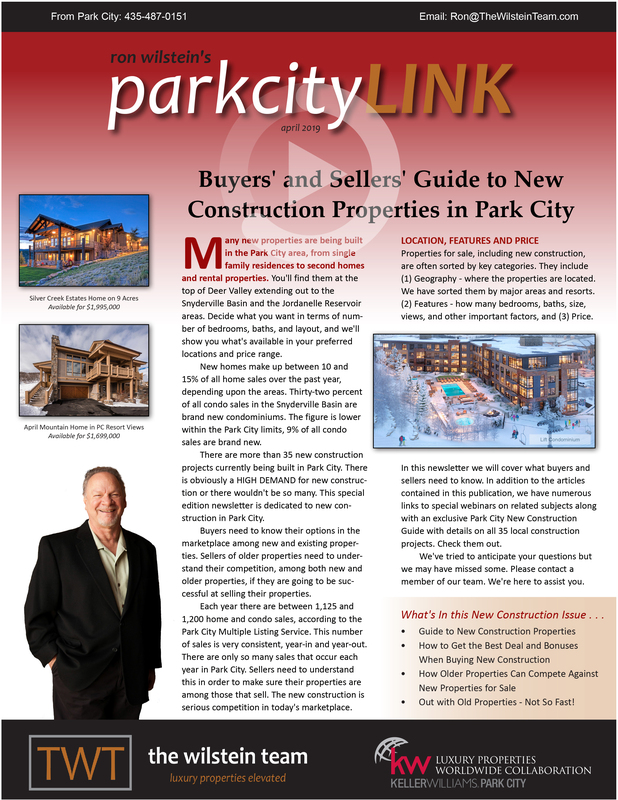 We provide accurate and current information about the Park City real estate market in our ParkCityLINK newsletters and other publications written by Ron and his team. Regular and timely information prompts buyers and sellers to act quickly in order to take advantage of the market opportunities presented in these publications. Well-timed information and relevant real estate advice has rewarded many of our clients when they choose to act on the news we provide. We expose our listed properties to more buyers through social media. Facebook, Twitter, YouTube, Instragram, Pinterest, and Google+ are all used to ensure that no prospective buyer will ever miss out on the opportunity to purchase your property. We make it easy for buyers to share with others their favorite properties while re-targeting to them so that there is no chance they'll ever forget, or have difficulty finding your property again online, once they identify it as a purchase option. The Wilstein Team’s Buyer Consultants specialize in helping buyers find the right properties. 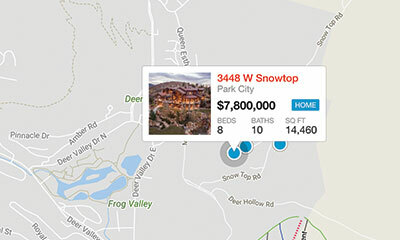 As experts in Park City and Deer Valley, they match a buyer’s criteria and goals with the best properties on the Park City real estate market. Our buyer consultants follow up on every property inquiry we receive from our numerous marketing methods, and they try to convert these leads into buyers for our listed properties whenever possible. One of the ways that we reach people interested in Park City real estate is through our webinars. Each month we present “Park City Market Talk,” which updates our viewing audience with changes in the marketplace and addresses a variety of relevant topics that might be on people’s minds. Buyers and sellers alike have learned to rely upon us and to trust us for current real estate market information and an honest discussion of the topics that we cover. We have multiple interactive websites to help buyers search for properties. They are fast, user-friendly, and make it easy for them to search and keep track of properties. Buyers can preview your property from satellite images as well as locate it on a map to see exactly where it is located and what surrounds it. Our automatic alert system notifies buyers as soon as a new property comes on the market that matches their criteria. They can get additional information on your property easily, and even set up an appointment to see it.